Starting this time of year, in New Hanover County, N.C. (where we’re located), most residents and visitors have one thing on their mind: beach season. Couple that thought with springtime home renovations and spring cleaning, and you’ll know just what we’ve been dreaming about — beach house flooring. 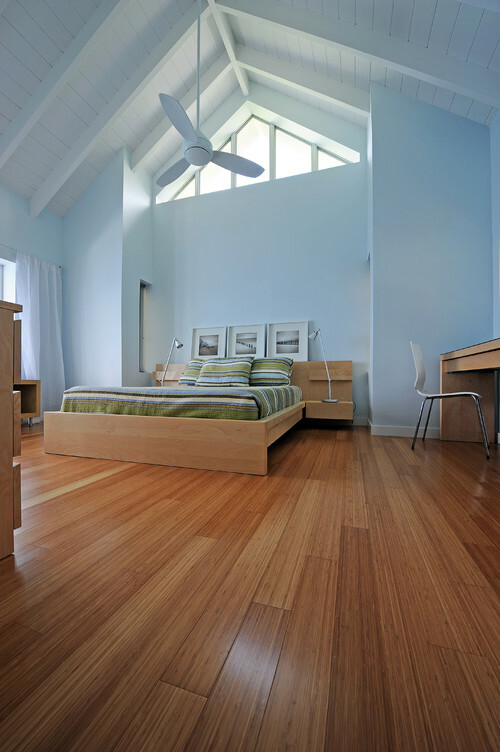 The truth is, choosing the right beach house flooring can be tricky, especially in ultra-humid climates like ours. New Hanover County’s beaches are famous the world over. If you’ve got a beach house (or a near-a-beach house, which could describe most Wilmington-area homes!) and you’re in need of new flooring, check out our recommendations below. Wrightsville Beach is home to luxurious resorts, great surfing, and New Hanover County’s most famous — and most hurricane-proof—pier. It’s also home to some of the area’s most enviable beach houses. So, what kind of beach house flooring best fits a Wrightsville Beach home? 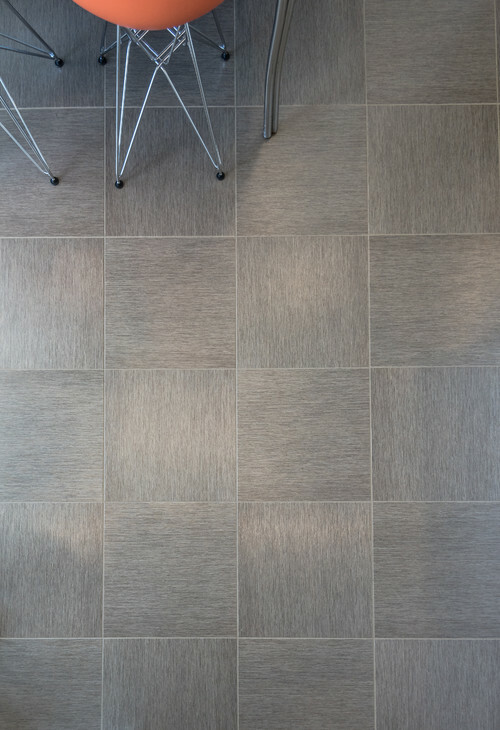 It’s a tough choice, but our pick is light-colored porcelain tile. 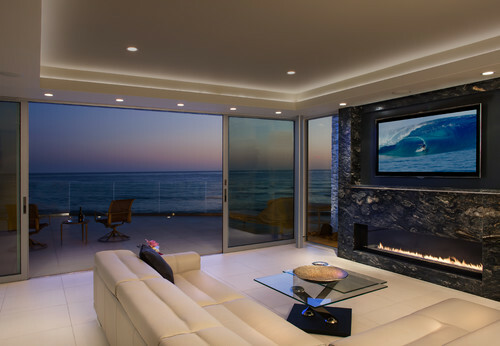 Porcelain tile is a perfect fit for a stylish beach home. It’s beautiful and sleek, which matches well with Wrightsville Beach’s fashion-forward style. Plus, it’s waterproof, easy to clean, almost impossible to crack or stain, and it can last a lifetime. It’s the ideal pick for the homeowner who wants to spend less time cleaning and more time out enjoying the beach. Carolina Beach is a slice of old-school, Americana beach town culture. With its kitschy boardwalk, adorable local shops, and cozy beach bungalows, going to the beach here is like taking a step back in time. The homes you’ll find at this New Hanover County beach are retro in that nostalgic, 1960s-style way. If you have a Carolina Beach home, we suggest leaning in to the combination of technological advancement and retro style that defines the region. Luxury vinyl plank and tile offer all the perks of modern-day tech with a limitless array of style options. They’re almost impossible to distinguish from the real thing, and they’re water- and stain-resistant. Because luxury vinyl is endlessly customizable, you can have the look of ceramic, porcelain, hardwood, or any other flooring style that matches your unique Carolina Beach home. Walking onto Kure Beach, located just south of Carolina Beach and just north of Fort Fisher, is like walking into another world. Home to an aquarium, an oceanfront park, and a historic fort, Kure Beach is the perfect mix of nature preserve and small-town beach community. On the whole, New Hanover County is eco-friendly and concerned with protecting its coastlines, but nowhere is that more apparent than at Kure Beach. That’s why the perfect Kure Beach house flooring fit is an engineered hardwood bamboo flooring. Why? Engineered hardwood is made of genuine wood, but it’s twice as durable and less prone to shrinking and expanding due to humidity than solid hardwood. Plus, bamboo is the most renewable wood there is—and what could be more eco-friendly than that? Spring has sprung—and it’s time for your New Hanover County beach house to get a flooring upgrade. Don’t wait! Visit Crystal Carpet and Flooring’s showroom today to get started.